God allows us to sin and commit evil in this world due to His having given us free will in this world. Taking away our ability to do evil would inevitably result in taking away our ability to do good. 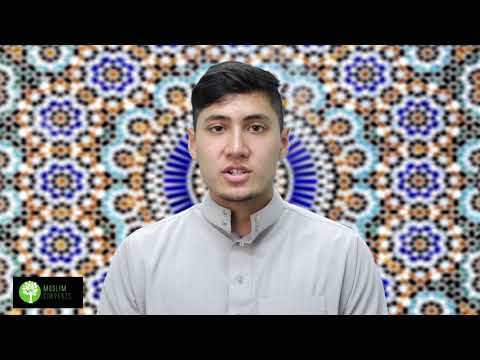 Welcome to the Muslim Converts Channel! There are many reasons why people come to believe in God, and there are also reasons why people come to disbelieve in God. The most popular reason why people chose to disbelieve in God, at least here in the West, is why God allows people to commit heinous crimes and evil in this world. In many monotheistic religions across the world there is a belief that God allows respite for sinners and evil-doers on this earth. People are allowed to sin and commit evil without God intervening and stopping that action from taking place. A God who allows people to commit evil deeds is a God that some people choose to reject. They sometimes object with the following example: if a loving parent sees their child being attacked by a criminal, the parent, out of love, would protect the child and stop the criminal from hurting him or her. If God is supposed to be All-Loving and caring for His creation, He would stop people from hurting others. But since there is no one miraculously stopping people, then there must be no God according this view or at the very least, this God is callous and careless. In this lesson, we will explain why Allah allows people to sin in this world without stopping them and therefore answer some of the objections that have been raised against Allah’s existence, such as the one we just mentioned. On this earth, we have the ability to go about in two ways. We may either choose good or moral paths, or we may choose evil and immorality. Allah has given us the ability to do good. However, the ability or choice to do good comes at a price. This price is the ability to do evil as well. This ability we speak of, that is, the ability to do good or evil is what we call free will. Free will is the ability for us as individuals to make choices. In technical terms, it is the power of acting without the constraint of necessity, determinism or fate. It is the ability to act at one’s own behest or discretion. If Allah were to take away our ability to do evil, then He would have to take away our free will. In other words, the price of taking away evil is to take away good. Now few people would think that that is a good thing! So that’s our first reply to the objection. There is another way of looking at the matter as well. God’s intervening in our sinful behaviors and oppression of others is a total package. When we ask the question of why God doesn’t intervene when people commit sins or evil acts in this world, we should be careful as to what we are wishing for. For example, why doesn’t God zap our mouths when we lie? Why doesn’t He twist our wrists when we cheat in our exams or taxes? Why doesn’t God zap us when we insult and belittle our spouses or children or when we gossip about others? In a world like that, people would essentially be robbed of their own free will, or at the very least, the world would lose its purpose of being a testing grounds for us and a place that nurtures our spiritual growth. If our lives were simply limited to this world, perhaps, and that’s a big “perhaps,” there may have been some credibility to this objection. However, what does God have in mind? Does He want short term comfort in this world as opposed to long term, eternal salvation? By our own actions, we create the path to heaven and by that same ability, we create our own paths to damnation. Physical well-being or pain are minor compared to the well-being or pain that we feel in our souls in the Hereafter. By giving us free will, God gives us the opportunity to acquire eternal joy for ourselves. By allowing us to sin, He allows us to rectify our mistakes and learn from them. By learning from our mistakes and turning towards God, we mature spirituality and attain union with Him. These two verses are important. It states that our birth in this world, that is, our coming into this world was so that we would be tried. Through trials, mistakes, sins, repentance, all under God’s guidance, we are taught to become grateful and thus gain experiential knowledge of God’s grace on earth. Now …a final point is worth mentioning. God does often punish us for our sins in this world. Most people have the ability to see the consequences of their evil actions in this world, but there are a number of people who wish to ignore them. These are people who wish to ignore God’s grace and guidance. There is another group of people and insha’Allah they are in the minority; they are people who completely lack God’s grace. These people are not directly punished in this world and are completely blinded from the consequences of their own actions due to their egos and arrogance. The reason for this is because God is saving His full punishment in the Hereafter which is much worse than anything one can experience in this world. Punishment in the next world is where one is confronted with the full spiritual and physical pain of one’s misdeeds at much lengthier periods of time which for some is eternity. In the end, no matter how one looks at it, all our actions, big or small, will one day be held to account, either in this world or in the Hereafter. This ability we speak of, that is, the ability to do good or evil is what we call free will. Free will is the ability for us as individuals to make choices. In technical terms, is the power of acting without the constraint of necessity, determinism or fate. It is the ability to act at one’s own behest or discretion. There is another way of looking at the matter as well. God’s intervening in our sinful behaviors and oppression of others is a total package. When we ask the question of why God doesn’t intervene when people commit sins or evil acts in this world, we should be careful as to what we are wishing for. For example, why doesn’t God zap our mouths when we lie? Why doesn’t He twist our wrists when we cheat in our exams or taxes? Why doesn’t God zap us when we insult and belittle our spouses or children or when we gossip about others? Why doesn’t God stop us from sinning? Because He would have to take away our free will, which is from where we do good. It is the power to take action, or make choices, without constraint or fate. Why does God test us by allowing us to sin? By testing us, Allah gives us an opportunity to learn and grow spiritually.